Live the American Dream and move to the U.S., a cultural melting pot with a thriving economy, a wealth of opportunities, and one of the highest standards of living anywhere on the globe. No business or managerial experience required. Investment capital can come from a gift, inheritance, business ownership or any other lawful activity. No obligation to live in the area of investment. The opportunity to live, work and study anywhere in the U.S. and benefit from lower tuition fees. Inclusion of dependent children under the age of 21. Show legal source of assets and funds. The USA EB-5 Immigrant Investor Program comprises two investment options. Make an investment of US$1 million in a new commercial enterprise or US$500,000 if that enterprise is in a targeted commercial area, including rural areas or areas with unemployment of at least 150 percent that of the national average. Create full-time employment for at least 10 qualified U.S. workers who must be direct employees of the commercial enterprise. Actively manage the day-to-day activities and/or policy formulation of the enterprise. Make an investment of US$500,000. 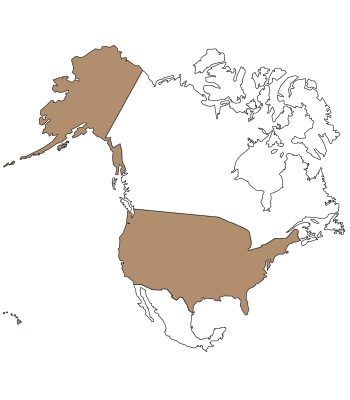 Create full-time employment for at least 10 qualified U.S. workers, where indirect employment is permitted. Active management of the enterprise is not required. Have lived within the state, or USCIS district with jurisdiction over the place of residence, for at least three months prior to the application. Have continuous residence in the U.S. as a Green Card holder for at least five years immediately preceding the application. Be physically present in the U.S. for at least 30 months out of the five years (60 months) immediately preceding the application. Reside continuously within the U.S. from the date of application for naturalization up to the time of naturalization. Be able to read, write and speak English, and have knowledge and an understanding of U.S. history and government (civics). Be of good moral character in keeping with the principles of the Constitution of the United States, and well-disposed to the good order and happiness of the United States during all relevant periods under the law. Compare the different programs side by side and examine their features. Find out the cost estimates for each program tailored to your family. See the power of global mobility for each passport. 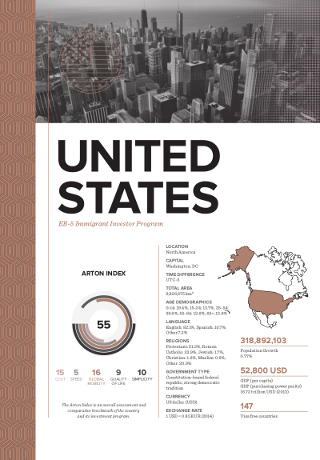 Updated yearly, the Arton Index is an overall assessment and comparative benchmark of the country and its investment program.